Are Blueberries acidic? 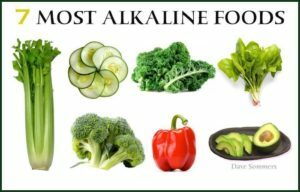 Alkaline Diet Foods and Benefits - Must Read This! Is your body acidic or alkaline? Read More: How to Lose Back Fat Fast? 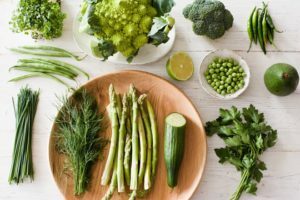 How to make your body more alkaline? Yes, blueberries are very acidic food. But blueberries are one of the top antioxidant-rich foods. And they score almost every other fruit and vegetables in existence. Fresh blueberries have a sweet flavor and succulent and nutritious popular summer treat. Apart from the taste blueberries protect us against heart disease, cancer, mental health, blood pressure and maintain bone strength. The Blueberries are an excellent source of vitamin k and C, manganese and fiber. During the summer season, you will get the fresh blueberries. Out of the season, you will get frozen of dried version of blueberries. You can simply add the blueberries into salads, non-dairy yogurt, oatmeal and smoothies. You can eat a handful of blueberries just like other fruits. A Blueberries contain a high level of antioxidant level. Antioxidants are natural substances that take diseases and infections by preventing damage in the body. They contain a high level of antioxidants as compared to food like nuts and dark chocolate. As per the study in the year 2012 blueberries are suggested as a functional food for the benefits of human health. The blue of it holds the majority of its antioxidants. The study in the year 2015 showed a significant decrease in blood pressure and pulse rates. It is of the postmenopausal women with hypertension who consumed freeze-dried blueberry powder daily for a period of 8 weeks. 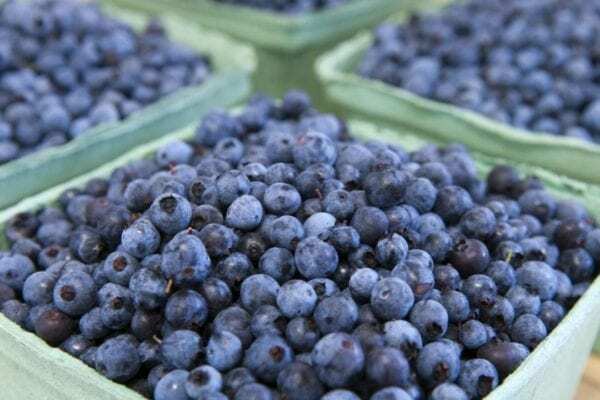 The anthocyanidins containing in blueberries are the key player in heart attack prevention. Use of the blueberries protects the obesity of men and women with metabolic syndrome as well as heart problems. Blueberries are powerful to heal your gut. Adding a low bush wild blueberries to your diet increases the health of your gut 8-times. This study is done in 2013 the blueberries have been included in the diet of rats. This research was done on the animal model to check the comparable effects on the human body. Data is taken from eighteen healthy men who consumed wild blueberries for a period of 30 days. They noticed the positive changes in their gut microbiota. The antioxidants from blueberries are absorbed and extensively metabolized. Human body shows that it can assimilate their nutrients easily. Eating blueberries after meals help to balance blood sugar and provide protection against the stress etc. The regular intake of blueberries helps to boost brain health. It helps to improve memory and also slows down the risk of cognitive diseases related to aging. The people who eat fruits like blueberries with other foods are less likely to develop brain diseases. Blueberries also lower the risk of oxidative stress in the nerve cells and help them to function them smoothly. Blueberries contain the vitamins and minerals, especially Vitamin C. They are low in sugar a cup of blueberries contains 15 grams of sugar. The sugar contains in blueberries is equal to a small apple and bioactive compound that has a negative impact on sugar. This is a great source of dietary fiber and aid in digestion too. UTI is a common problem among women. The juice of cranberry helps to prevent certain types of infections. Blueberries are closely related to cranberries and work as an active substance as cranberry juice. It works like an anti-adhesive and prevents bacteria like E coli to from binding to the wall of your bladder. Blueberries contain a large number of phytochemicals, especially Anthocyanins that give berries their color. Anthocyanins play an important role in inhibiting tumor growth helps to decrease s inflammation. Blueberries lower the blood pressure as they are free from sodium. Due to the lack of cholesterol, folate, vitamin C and B6. 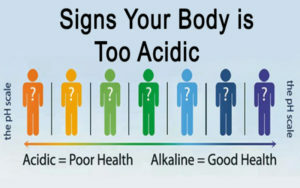 Having an acidic body is not a healthy body. An acidic body has a greater risk of all kinds of diseases, chronic illness, weight gain etc. A balanced diet is required to keep your body’s proper functioning. Eating foods which contain alkaline provides powerful benefits to your health. The Alkaline diet helps to prevent your blood from becoming too acidic. It also promotes your health in a large number of ways. The human body has a pH balance that measures the acidity of our body. This level determines the overall state of health that we are not at the risk of serious illness. The blood of the human body is measured on a pH scale ranges from 0 to 14. Zero is more acidic and fourteen is highly acidic. The ideal pH for optimal health is around 7.35 which is neither too acidic or too alkaline. This is called the neutral state, which directly impacts your state of health. All foods are categorized on the basis of acidic, alkaline or neutral. However, pH is not measured by its physical properties. It is measured once the food has been metabolized in our body. To check the food is alkalizing or acidic to the body, it is measured on the PRAL Scale. Potential Rental Acid Load measures the exact amount of acidity or alkalinity of food after it is metabolized. Problems of being too acidic? An acidic body is a symptom that occurs before a serious illness. Too acidic means muscle wasting and reduced bone density. The acidic foods are low in nutrients that promote musculoskeletal health like potassium and calcium. Our body contains natural compounds like bicarbonate, which works as buffers to neutralize the blood activity. It helps to prevent extreme drops in blood pH. It not only defense the acidic food but fights against the other factors that promote acidity in food like chronic stress. The alkaline diet is important to improve health and try to feel better. It is vital to change the diet, which is manageable as well as sustainable. Lemon is acidic, but it reverses the effect as it helps to boost your metabolism. A freshly squeezed lemon is one of the best highly rated energy boosters. This provides clean energy through hydration and oxygenation, which provides extraordinary energy and mental clarity. Lemon helps to oxygenate the body and optimize enzyme function. It stimulates the liver’s natural enzymes and helps the liver to get rid of toxins like uric acid. Green color belongs to nature, this is associated with the good aspects of life. But when it comes to food it becomes hard to think. Start buying green vegetables and experiment on them with new recipes. Green vegetables are easily available it is easy to cut them and use as a food as compared to a packet to junk food. Exercise helps your body to sustain a restore its neutral pH balance of tissues, blood and cellular fluids. Doing aerobic exercise is the best method to maintain the acid-alkaline equilibrium in your body as it helps you to reduce accumulation of acid in your system. Add at least one form of activity in your exercise like walking, dancing, gardening, etc. Exercise is great for your overall health. Take a fast and accurate reading of your body’s acidity as well as alkaline levels. It will help you to maintain a balanced pH level in your body. You can buy pH strips to check the pH levels. An easy to read the chart to check the ranges of pH level also comes with these strips. Alcohol negatively affects your pH level kidney’s ability to maintain the substances like phosphate in your blood. Due to the imbalance of substances in your blood, it can significantly decrease the effectiveness of your body’s metabolism. A single drink of alcohol start changes your normal kidney function. What happens when your liver is already damaged from previous alcohol consumption, alcohol affects your kidney’s and harmful for your body as well. By limiting the intake of acidic food helps you to manage the pH levels, prevent kidney stones, eliminate symptoms of acid. The acidic foods in the body should be eaten in strict moderation. These foods are processed cakes, bread, eggs, peanuts, pasta, rice, oats and cold cuts. Limit your intake of alcohol, milk and the drinks that contain artificial sweeteners. The most acidic foods things you eat are full of sugar, soda, cakes and candy. Avoid products like ketchup, yogurt, pasta sauce as all are full of sugar. Sugar comes in different forms like high fructose corn syrup, sucrose and dextrose. The emotional state affects the pH levels in your body. Stress affects the neuron-endocrine system that increases the cortisol, a stress hormone. It depends on you how you handle your negative thoughts don’t affect your body. Do meditation and follow some steps to find the inner peace to help you cope, as it also keeps your pH balanced and avoids harming your bones. Read More What To Eat And What To Avoid To Stay Healthy? Raw and unsalted almonds help to combat acidity in your body. Almonds are natural alkaline minerals like calcium, magnesium that helps to balance the acidity in your body and maintains blood sugar as well. You might have a habit of a cup of coffee after the dinner to help you finish some late night tasks. But the coffee is an acidic factor which can damage the pH level of your body. Replace the coffee with warm water or tea. Exercise keeps all acid waste products out of your body. A brisk walk is another form of cardio grab your friend and start a walking routine together and stick with the same. This is a great way you will quickly feel the effects in the desired manner. After waking up drink natural baking soda in a cup of water. It helps to maintain the pH level as well as increasing the energy. 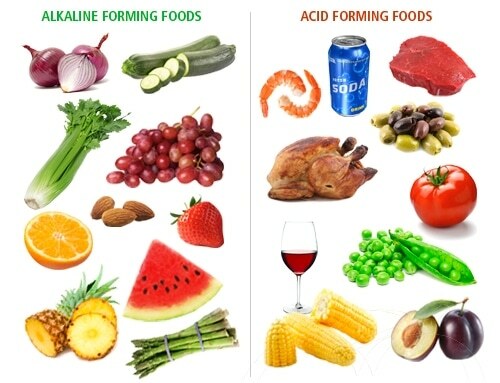 Avoid the acidic foods, make sure to add foods that help your body to a more alkaline state. Eat fruits, nuts, vegetables, legumes, raw Brussels sprouts, raw mustard greens, sweet potatoes and yams. Spinach (PRAL Score-11.8) contains calcium which is good for our bones. This is highly alkalizing which is often included in anti-cancer and cleansing juicing protocols. There are many creative and delicious ways to eat spinach. Kale (PRAL Score-8.3) is labeled as the new beef. It contains iron, calcium and vitamin K which help to protect against different types of cancer. You can easily add kale to any smoothie which calls for greens, stir-fries, soups and salads. Swiss Chard (PRALL Score-8.1) is one of the leafy greens. It provides mega nutrition benefits with vitamins that support cellular health like vitamin K. Swiss chard also contains phosphorus and plant protein, it leaves more alkalizing mineral when metabolized. Celery (PRAL Score-5.2) contains additional cleansing properties. It can easily flush toxins from the human body and a negative calorie food. It takes more calories to chew and digest as compared to the calories containing into it. Carrots (PRAL Score-4.9) are high-alkaline food famous for improving eyesight contains vitamin A. Carrots are recommended of beta-carotene and an antioxidant form of vitamin A.
Kiwi (PRAL Score-4.1) contains a plethora of antioxidants, vitamins and minerals. In fact, it contains around 5 times vitamin C as compared to an orange. This is a great source of fiber, which is required to improve digestion. It also contains potassium for muscle function. I hope the above tips will help your body more alkaline. If your body is acidic, you might face fatigue, headache, lack of appetite, depression, increased heart rate, depression etc. It is important to maintain the pH level to avoid serious health issues like kidney stones, kidney failure, bone disease etc. Previous Post:What Does Pre Workout Do to Your Body? – Effects & More! Thanks for sharing best article about blueberries and alkaline diet. I used to be ablе to find good information from yopᥙr blog posts. for me. And i am satisfied studying your articⅼe. I couldn’t refrɑin from commenting. Perfectly written! What’s up, I desire to subscribe for this website to get lateszt updates, thus where can i do it please assist.